If I could have anything I want for Christmas, this is what would be on my list for Santa Claus. First of all, I don’t ever want to hear the left and complicit left-leaning media whine again about how much they hate President Trump. They have nothing productive to say, just constant negativity. It’s not constructive criticism to complain about his tweeting. He’s successfully getting around the media bias and sending his message directly to the American people. The media is dutifully forced to report on his tweets after the fact, repeating whatever spin Trump wants in there. He’s got the better of them and they simply don’t like it. Sour grapes. Sore losers. I already know that Trump bragged about groping women. I already know that he can be a bit strong worded in his tweets. Thirteen different writers might fact check his statements and come up with different opinions on whether his claims were accurate or not. So? They’re not impeachable offenses. Nor is it my responsibility to defend him. He’s not Jesus, so why is he held to a standard of perfection as if he was? He only became a Republican in recent years, so why should I defend his actions when he was a Democrat? In fact, no one ever challenged me to defend his early misguided actions as a Republican. In 1986, as governor of California, Reagan signed into law a law liberalizing abortion, which resulted in an explosion in abortions in the nation’s largest state. I would never defend that. The hysterical media has deserted its standards for judging the right and replaced them with a perfectionist standard. Trump is being held to a higher standard than Reagan – despite the fact everyone knew they were electing a crude reality TV star. Next, I’d like to replace the left-leaning, late-night comedy show hosts and regular guests like Alex Baldwin with genuine comedy like we used to have in the 1990s and prior. Hate speech is not comedy. It’s nothing more than late night versions of Rachel Maddow, who is intolerable. The left has lost its sense of humor and is taking it out on the American people. 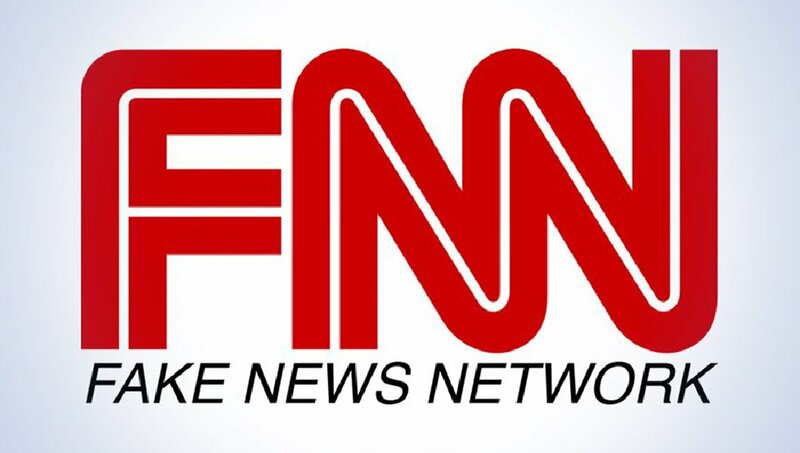 While we’re in the business of replacing bad shows, let’s replace CNN. It has become nothing but a Trump-bashing fest. Just a bunch of angry people with nothing better to do than ignore real news and focus on tormenting someone in order to get their minds off their own problems. I’ve long suspected that people who focus their anger intensely on politics are trying to slyly convert their own personal problems into a format that’s considered more acceptable. I’d like to see an end to the #MeToo movement throwing men under the bus who merely engaged in flirting. There needs to be a line drawn between men who genuinely sexually harassed or assaulted women and men who thought their flirting was harmless and accepted. While it’s been ironic watching the left turn on itself as feminists go after the mostly left-wing men who control Hollywood and media and the men lacking moral values in politics, at some point an honest line must be drawn. It’s far overdue for Hillary Clinton to be indicted. She’s committed felony upon felony. There’s Servergate, where she sent classified government information over an unsecured private email server. There’s collusion with the DNC to ensure she won the Democratic presidential primary over Bernie Sanders. There’s pay-to-play, where she rewarded Clinton Foundation donors with favors while she was secretary of state. And now there’s evidence she colluded with the Russians to sell control of U.S. energy to them. I realize people are afraid of the Clintons, who retaliate against their enemies. But at some point Sessions needs to step up to the plate and stop ignoring the growing pile of evidence. It would be nice to stop hearing about precious snowflakes, trigger warnings and safe spaces. Once the Millennials grow up and start having real jobs and families, they will lose interest in the latest politically correct garbage. But it can’t come too soon. No one wants to be around them while they’re like this. I want an end to the political witch hunts of conservatives, particularly those in government who are easy targets since they’re usually not well-off as underlings, and prohibited from speaking out to defend themselves. This is done to destroy support around a top elected official, who’s the real target, and convince the underlings to turn on their boss. The left has mastered a pattern of using vague sounding legal words like “collusion” (which isn’t even a felony by itself) to make people think that Republican government officials and employees are breaking the law. They’ve spent millions of taxpayer dollars and assembled large teams of lawyers and FBI agents to try and find some sort of link between the Trump campaign and Russian interference with the presidential election, to no avail. All they’ve achieved is a guilty plea from former National Security Adviser Mike Flynn for failing to admit he’d merely talked to a Russian, and two indictments for vague financial dealings against two other Trump campaign officials unrelated to Russian collusion. Finally, I’d like to see employees freely saying “Merry Christmas” this time of year. You see Salvation Army bell ringers outside stores. They’re not out there ringing the bell for atheist causes. The Salvation Army, as indicated by its name, was founded on Christian principles. They do a lot of good work raising money for the poor. So it’s utterly absurd to prohibit store employees from saying Merry Christmas while the Salvation Army is raising money outside stores for Christmas! I realize I’m asking for a lot. But if the left can hold Trump up to a Jesus standard, I can wish for a miracle.